This is the fourth post in a blog series written by Brooke Giles, freshman at the University of Maryland, giving her perspective on current education news and events. When a student tells you that they have a 4.0 GPA, what career path do you see them in? Throughout high school, I’ve heard many adults praise and speculate the future career of high-achieving students. I believe that while it may seem harmless, the high expectations of teachers and parents can stunt a student’s growth as a person, and stop them from discovering a “perfect” career. Students who are put in high-pressure and unhealthy learning environments are less motivated and don’t perform as well. If they believe they should be studying something that they don’t truly love, that can have the same results. Sometimes, students are more likely to pick a major because they believe it’s the gateway to a successful career. Professions in medicine or being a lawyer are highly lauded, and some grow up believing these are the only ways to have a wealthy life. This belief can really affect students in art programs, who are often told that they should pursue a career that is more financially stable. Alternatively, students can also be encouraged to enter careers in the subjects that they do well in. If a student is a strong math student, someone could suggest that they enter a math profession, but this doesn’t take into consideration the other details of the profession that might not fit a student, and more importantly, it doesn’t cover what the student is truly interested in. According to the Federal Reserve Bank of New York, only 27% of college graduates had a job that is closely related to their college major. This statistic shows that many students are unclear about their career paths even after graduating college. Students should be encouraged earlier on, during middle and high school, to reach out and explore all the possibilities. I believe that students don’t thrive unless they take control over their learning. An easy jumping off point for students that are unsure is to look at the classes that they enjoy. Unlike the classes that they excel in, these classes are where a student is thriving and looks forward to everyday. I made great grades in my math classes, but I didn’t find myself anticipating the next class or independently researching things from the day’s lessons. When a student has a better focus on what they love, they can begin to really look into majors in careers. 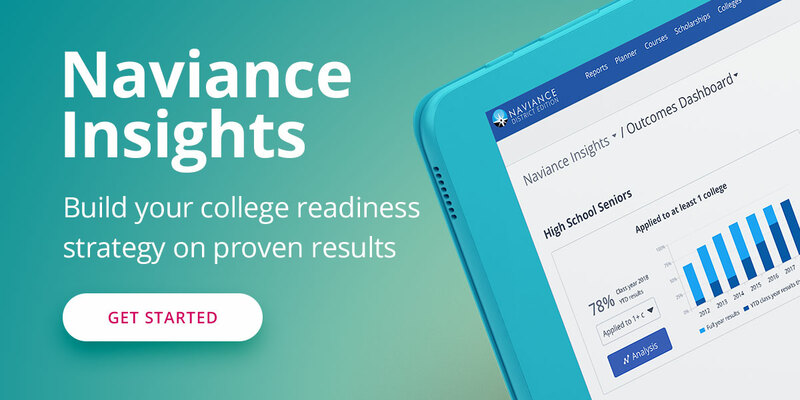 To further investigate or to receive even more career match information, Naviance can help. The Career Interest Profiler tool in Naviance helps students discover strengths and interests and helps them find careers that align with them. This tool is great, and pretty accurate. Since I was a little kid, I had an interest in journalism and entertainment. I took the interest assessment twice, once in middle school and once as a freshman. The results were identical both times, and accurately displayed my interests. Students that really questioned their future career paths found the assessment to be fun. As they answered questions about their interests, they could already see that there were certain careers they completely rejected. Once students narrow down interests and potential career paths, they can get an early start on exploring them by finding internships and volunteer opportunities. These experiences can help students find out first-hand if an industry is really right for them. Being able to discover my strengths on my own, and finding a college major that interests me has genuinely made me a better person. I am able to identify why I enjoy some classes more than others, and during my senior year I was able to craft my schedule to reflect my strengths and prepare for studying my major in college. Even if a student doesn’t get the opportunity to find something that they love while still in high school, they can still pursue it. It’s never too late to learn about yourself.I believe that finding your passion on your own is one of the most rewarding things in life.